Paul Weller Unveils New Album Details, Treats Fans To Track-By-Track Guide! – Paul Weller News! Paul Weller Unveils New Album Details, Treats Fans To Track-By-Track Guide! 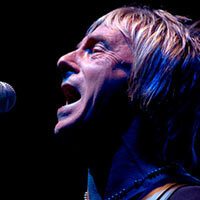 2 Comments on Paul Weller Unveils New Album Details, Treats Fans To Track-By-Track Guide! Paul Weller has unveiled full details of his new studio album ‘Wake Up The Nation’ and has even treated fans to a track-by-track guide. The Modfather’s tenth long-player was produced and co-written by Simon Dine at Paul’s Black Barn studios in Surrey and is released on April 12th. It’s preceded by the double A-side single ‘Wake Up The Nation’/’No Tears To Cry’ on April 5th. Weller’s former bandmate in The Jam, Bruce Foxton, appears on two album tracks marking the first time the pair have worked together since The Jam split in 1982. Interestingly, Bev Bevan from ELO and The Move and Kevin Shields from My Bloody Valentine have also been drafted in for the record. Some good information here, thanks. Do you know what the 2nd song Foxton plays on besides, Fast Car Slow Traffic? Glad to hear Bruce played with Weller again after so many years. Cant wait to hear the entire album. Previous Entry Paul Weller To Appear On Amy MacDonald’s Upcoming Album! Next Entry Wake Up The Nation Cover Art!